This tag is one most beginner Gimpers can do! 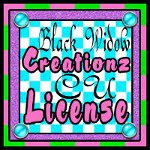 You will want the kit called Island Party by Crystal's Creations, which can be found at any of her stores. I used the PTU tube called "Celestine" of Elias Chatzoudis. You can find his artwork at PTE, and it does require a license to use. 1. Open a new image- 900 x 900. Go to LAYER>TRANSPARENCY>COLOR TO ALPHA to make transparent. 2. Open as layers paper5 from kit. Right click on it in layers box. Add alpha channel. Then use the ellipse tool to make a circle in it. Go to SELECT>INVERT and EDIT>CLEAR. Then go to SELECT>GROW by 12. Add a new layer and place it under this layer in layers box. Fill with a shade of blue. Then go to FILTERS>NOISE>RGB NOISE and levels at 20/20/20/0. SELECT>NONE. Add drop shadow to the noise circle- FILTERS>LIGHT AND SHADOW>DROP SHADOW with levels a 8/8/15. 3. Add as new layer element25. Scale to 525 x 430 and move to bottom right side of circle we just made. Duplicate it and move the duplicate to the left bottom side of circle. Merge these two layers together, then duplicate. Drag that layer above to cover the top portion of the circle. Merge down with other confetti layer. Then right click on paper circle layer and choose Alpha to Selection. Go to SELECT>INVERT and EDIT>CLEAR. Now this confetti should only be within the paper circle. 4. Open up element11 as new layer and scale to 383 x 530. Add a drop shadow. 5. Open as layers element7 and scale to 411 x 345. Duplicate, flip the copy. Give both these flowers drop shadows. 6. Open as layers element9 and scale to 296 x 248. Duplicate, flip the copy. The pink flowers should be in front of orange. This also is a perfect place to save. Save as a .xcf so if you need to come back and change anything- layer by layer- you can! 7. Open as layers element23 and duplicate it. Merge the layers of this element together to "thicken" it up. Then duplicate and flip the copy. Scoot this copy a bit to the right and then merge the sand layers again. Right click on the layer and choose Alpha to Selection. Then click on the paper circle layer and EDIT>CLEAR. Click on the noise circle layer and EDIT>CLEAR. Also the drop shadow layer from the circle. You might have to use the rectangle tool to crop out any excess hanging out under the sand layer. 8. Open as layers your tube of choice. Scale to 460 x 430. Add drop shadow. 9. Add your copyright info- copyright symbol, artist's name, website and your license number. Make sure it is legible. 10. Open as layers element13 and scale to 55 x 160. Place it just above her hand. Then zoom in very very close. Use the eraser tool to erase where her hand is. The bottom of the drink is what is getting erased. It will look as if she is is holding it. It helps if you change the opacity of the object to see thru it- where you'll want to delete. 11. Add your name or text to the tag. I used a font called Pusab in a hot pink color. Then I added another layer. Right clicked on text layer, Alpha to Selection. Then SELCT>GROW by 2. Fill the new layer in with white. SELECT>NONE. Click on the hot pink text layer to make it active and add noise. Click on the white text layer and add a drop shadow.